Why Not Leave the Egg Coloring to Your Hens? The secret is out: If you raise your own backyard chickens, you don’t have to dye Easter eggs. Although factory farmed eggs are white (or brown) and all uniform in color and shape, chicken eggs actually come in all sorts of sizes and colors. (And occasionally in interesting shapes, too.) 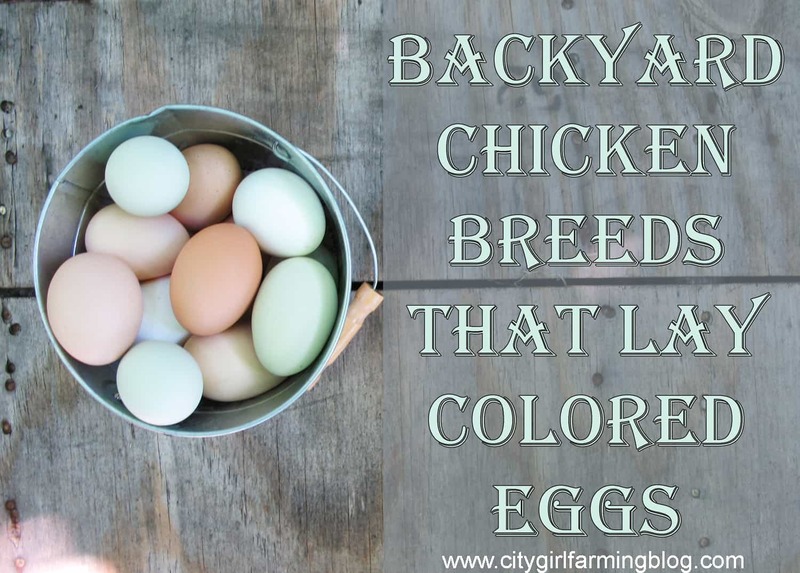 Part of the fun of having a small backyard flock is that there are breeds chickens suitable for backyard living that lay eggs in colors from pink to blue to dark chocolate. With or without speckles, too. So much more fun than the boring white eggs most people are accustomed to. Araucanas. A distinguishing factor of a true Araucana is that it doesn’t have a tail. (They’re also known as the South American Rumpless for that reason. )These birds originally come from Chili. Although I often hear of people thinking they have Araucanas, these birds are one of the rarer colored egg layers because they have a high mortality rate in hatching. Araucanas are gentle birds that lay beautiful blue eggs. Ameraucanas. This breed can trace it’s genes to the Araucana, and are sometimes sold as such, but they’re not truly a pure bred Araucana. A telltale sign (on an adult Ameraucana) is that they have tails, unlike Araucanas. It’s unclear where this breed officially originated from although many claim they’re called Ameraucanas because they originated in America and they resemble Araucanas and they lay blue eggs. They’re also gentle birds, so great for the backyard living. Often Ameraucanas are mistaken for Easter Eggers or Araucanas, in part because consumers don’t know the difference and in part because of marketing tactics labeling Easter Eggers as Americanas (note the I in the word). The misspelling on the word should alert you, as no such breed exists. (In some parts of the world Ameraucanas are considered a tailed Araucana instead of its own breed). Many tufted birds are thought to lay green or blue eggs, but you never know what you’re going to get with an Easter Egger. This one lays pink eggs. Easter Egger. These hens are a non-standardized ‘mutt’ chicken that comes from either an Araucana or Ameraucana on one side of the gene pool, and any other chicken on the other side. They’re super popular in the US and lay eggs varying from blue, green, rose, brown, sage, olive or cream. Don’t let the ‘mutt’ throw you off. As far as hens go, there’s certainly nothing wrong with them unless you want to breed your flock. Easter Eggers aren’t recognized as a standardized breed by the National Poultry Association. They can’t reproduce themselves in a way that gives standardized characteristics in their offspring. However, Easter Eggers are popular because they are gentle, sweet birds that are good layers of colorful eggs. You just won’t know what color of eggs you’re getting until they start laying them. But the surprise is a fun factor and they’re worth owning for sure. Welsummer. This breed originates from Netherlands and started out as a mix of four or five different chickens before the breed was standardized. Welsummers are known to be friendly and intelligent and lay dark chocolate brown eggs with darker brown spots. Marans. 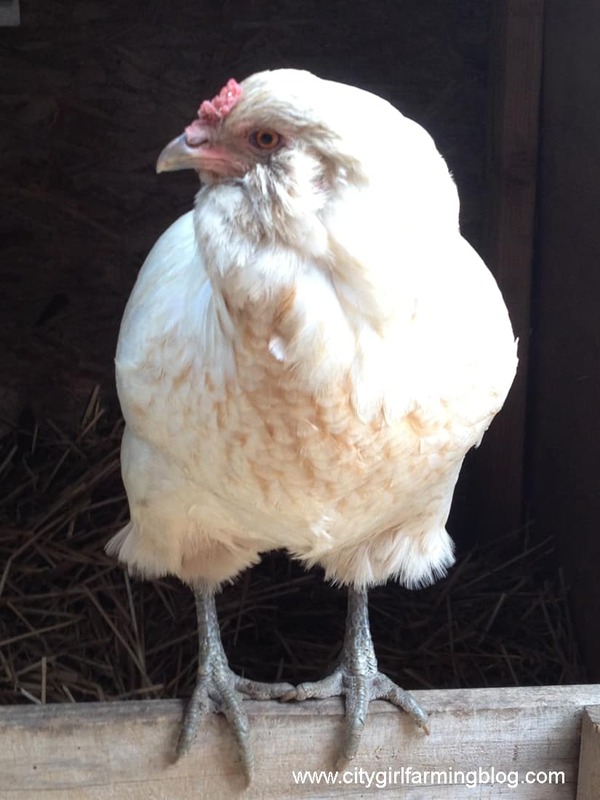 This breed comes from France and lays deep brown eggs. They’re considered quiet and docile birds. And fairly hardy which make them another great choice for the backyard. If you’d like to see their dark brown eggs, here’s a photo. Cream Legbar. This breed was established in the 1930’s and came from a cross between Barred Rocks, Brown Leghorns and Araucanas. They’re friendly birds, good foragers, and good layers of blue eggs. One neat thing about Cream Legbars is that they are an auto-sexing breed. This means that at birth you can tell the difference between male and female birds by their markings so you’ll never take home a baby roo by accident. Of course there are many other breeds of chickens that lay a variety of colorful eggs. This is just a short list to whet your appetite. If you don’t already have chickens, and are looking for a variety of colorful eggs, this is a great place to start. If you’ve already got your backyard flock going strong, it doesn’t hurt to start a wish list for the time when you’ll have to replace the ones that move on to the great nest box in the sky. I’m not sure you can convince kids that these lovely eggs leave no reason to dye eggs for Easter, but I’m completely sold. Why mess up something that nature has already done so beautifully? PS If your awesome colorful egg laying breed isn’t on this list, tell us what it is and why we should want one. The way I figure it, there’s no such thing as a too-long chicken wish list, right?